Home List SharePoint Online SharePoint Online: How to Apply Column Formatting? 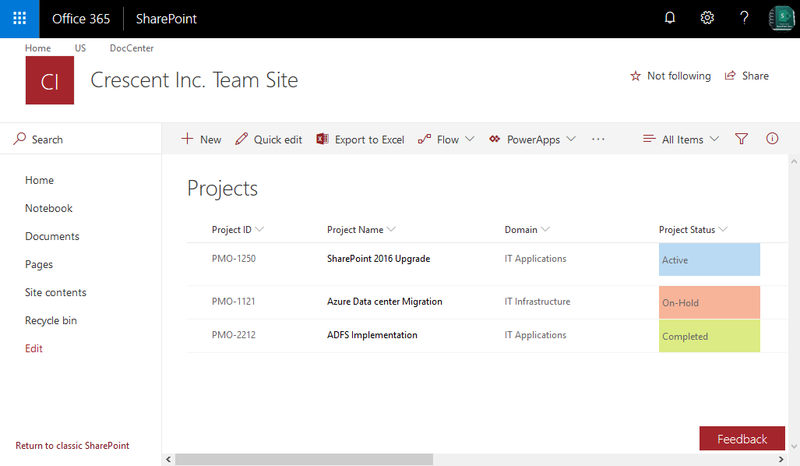 Column formatting in SharePoint Online modern lists and libraries customizes the field's appearance based on its value. In the past, We used SharePoint Designer and jQuery-CSS methods to format columns. 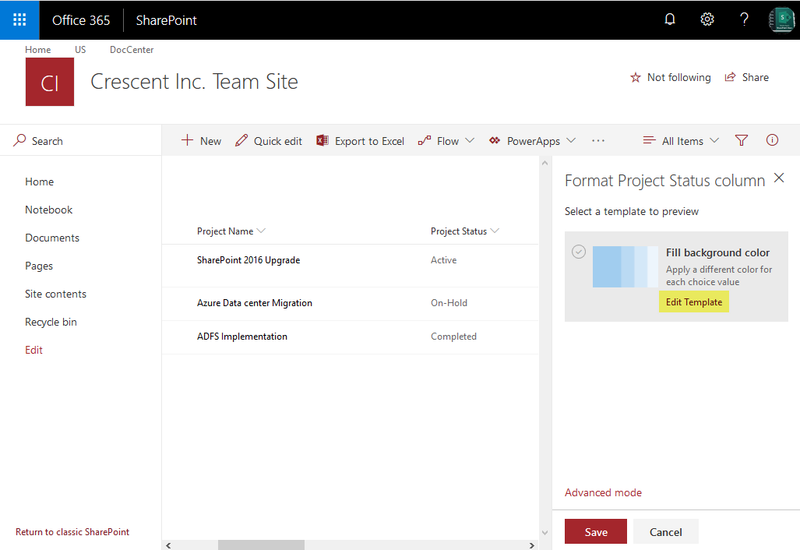 But now in SharePoint Online we can apply formatting to columns with JSON. How to Apply Column Formatting in SharePoint Online List? 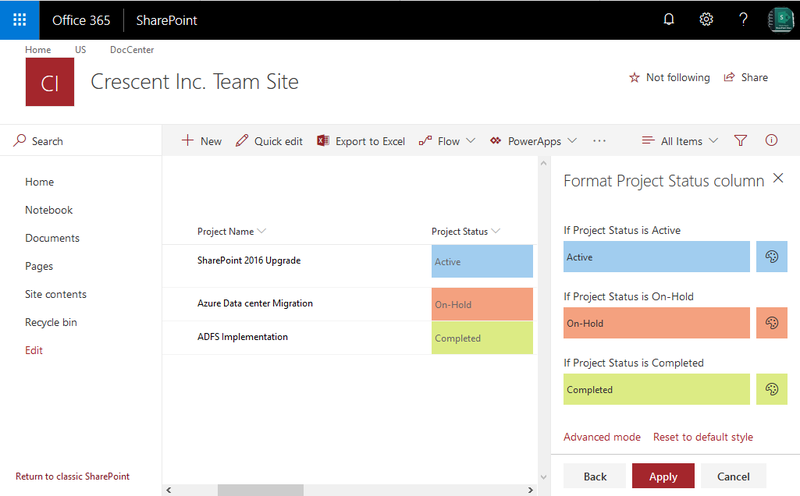 To apply formatting on a column in SharePoint Online list or library, Click on a column header, select Column settings from the menu, and then click Format this column. Since this is a choice column, SharePoint displays a a list of all choices with a little color palette icon. Select colors for different choice values and click on apply. 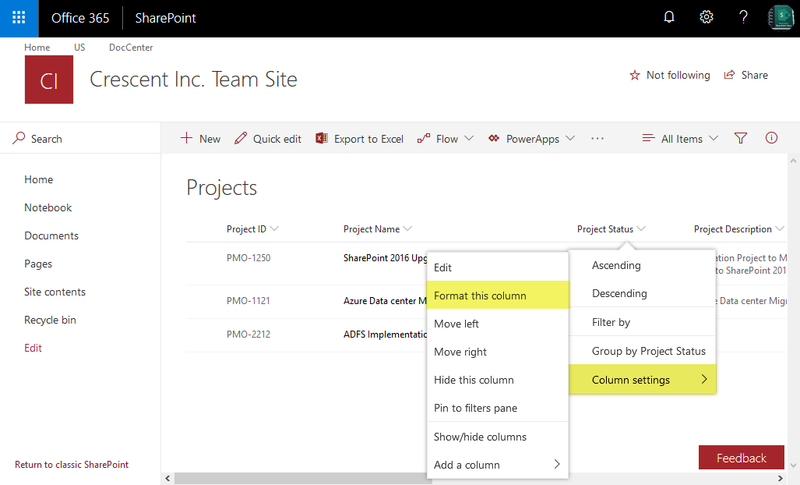 You can use these custom column formatting examples using JSON to apply formatting on any column in SharePoint Online list or library.